You’ve put in countless hours pumping iron over the last couple of years. You’ve made gains, cut down body fat, and feel like a completely new man. You continue to show up at the gym, work hard, and nail your macros, day in and day out. Yet, something just isn’t right. The gains seemed to have slowed or disappeared; you feel stuck. Arnold and the bodybuilders of his time didn’t need PubMed studies that backed up their methods. They went to the gym and focused on one thing: growing as much muscle as possible, and creating a mind-muscle connection was one of the ways they were able to do it. What is mind muscle connection? There’s a neat little neurotransmitter in our bodies that stimulates skeletal muscle called acetylcholine. When stimulated, acetylcholine leads to a bunch of fancy processes that control muscle contraction, but not only that, it’s one of the main contributors to our cognitive abilities like paying attention and memory storage and recall. Think of acetylcholine as midichlorians. The more acetylcholine that we have available, the more attentive our minds can be, and the more powerful a Jedi or Sith you will become. Put another way, the more attention you pay to the muscle you are using, the greater your gains will be. 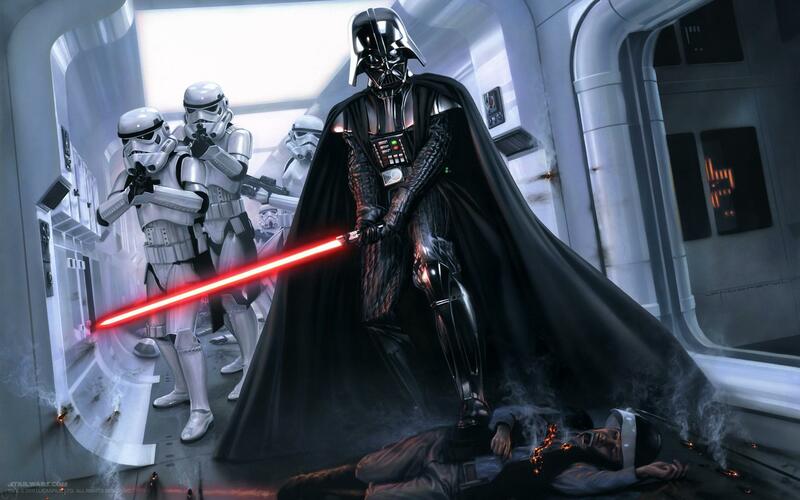 What you want is to walk into the gym like Lord Vader on the Tantive IV and have the path to the rack cleared for you. Um, guys? There is a Sith Lord here. And he demands your attention. One reason why you’re not getting those Sith-sized gains is that you lack control. You need to feel the muscle that you’re supposed to be working in order to activate the acetylcholine needed to activate your muscles. This is where the mind muscle connection comes into play. The more focused and connected you are with the movement of the muscle, the more acetylcholine that will be activated. This means more muscle fibers will be stimulated, which will lead to those fibers being used, broken down, and rebuilt. Here are a few tips on how to feel the muscle. Lower the weight and focus on controlling the full range of motion. Drop the ego for a week and lower all the weight down to a weight you could comfortably complete 15-20 reps with good form. Now, get into a staring contest with that muscle and focus your eyes on the movement of the muscle. Give it a good squeeze at the top and then continue to focus on the muscles as you go back to the starting position (the eccentric or lowering portion is just as valuable to muscle gain as the lifting portion). Bro, do what we already do when no one is around or our wives are asleep: flex in the mirror. Flexing is one of the best ways to learn how to activate many of your muscles that you claim to be using every day. Go to YouTube and find some videos on bodybuilding poses and start practicing every morning. Just as in #1 be sure to focus on really feeling each muscle and how it feels when you flip the switch. Arnold used it. Famous athletes use it when they act out a play in their minds. You need to use it. Dr. Srinivasan Pillay of the Harvard Medical School in a book titled Your Brain and Business: The Neuroscience of Great Leaders writes that recent studies have shown that we use the same part of the brain to visualize an action as we do when we perform that action. In your mind visualize each muscle filling with blood as you contract the dumbbell during your curl and then visualize the blood exiting each muscle as you return to the starting position. In the same vein of visualizing, there’s a hack I use in the gym and with clients when it comes to increasing mind-muscle connection. It’s something I’ve employed from my days as an actor. The object could be anything from a piece of paper in the actor’s pocket, to a patch worn on their costume, to a prop or an item that had significant value to their character in the play. If the actor felt themselves drifting out of focus, they would touch this item reminding themselves of their character or an emotion they need to connect with. You could use anything from a specific song on your playlist, a mantra you keep on a piece of paper in your pocket, or even take an old T-Shirt and turn it into a cape like I have many of my clients do. For myself, I use a Wolverine wristband. Try using this in the gym to remind yourself to refocus in order to renew your mind-muscle connection. Those who make the greatest gains are the ones who actively receive the weight and control their reaction to the stimulus. By connecting our mind to our muscles and harnessing these modern midichlorians, we can stimulate more of our muscles in order to achieve a greater level of success. I was the socially awkward ginger kid who growing up loved Hulk Hogan, Captain America, Michael Jordan, and video games. I was Screech until I found weightlifting and bodybuilding; then I turned myself into AC Slater. Now I take my love of all things nerd and help my clients discover their inner hero as an online coach at Side Quest Fitness. I also host the fitness podcast, Side Quest Podcast, and live by one simple motto: Scotch and Squats and Ben and Jerry’s. 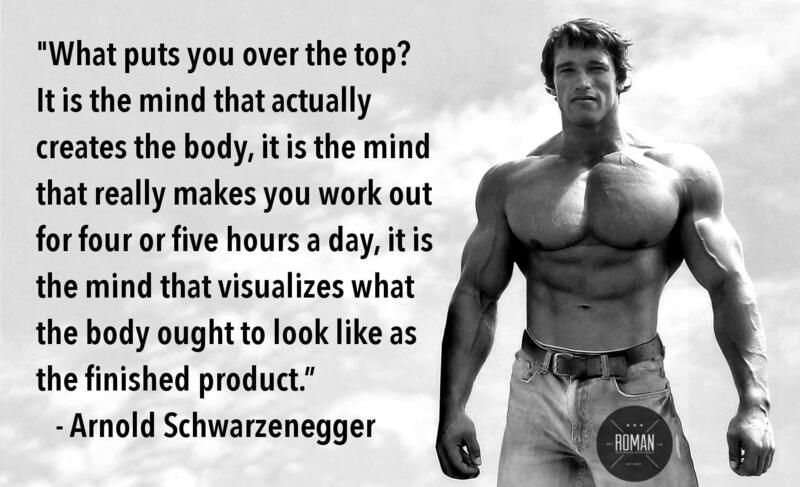 Visualisation is the best way to achieve anything . Very good article . thank you . So flexing...is good for me? This is the best news I've heard since that study that said wine is good for my heart. I LOVE YOU! Every time you walk past a mirror you gotta get a flex in!